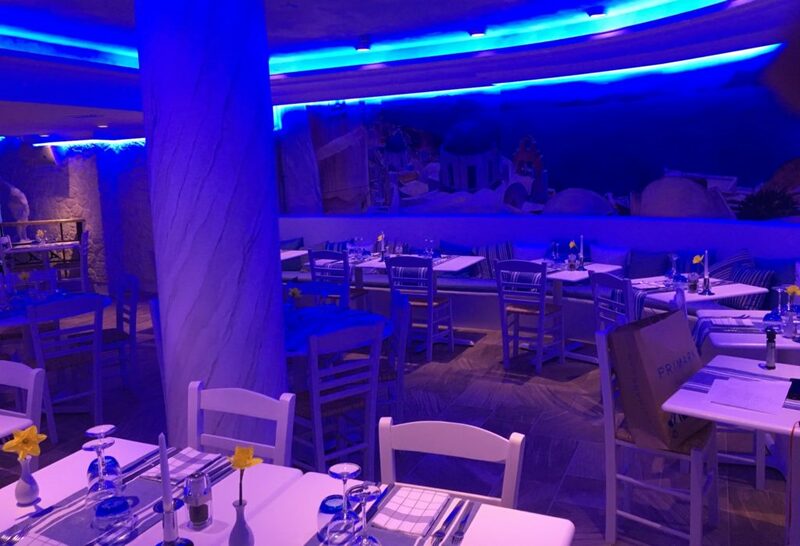 OPA restaurant is a place where memories are created. Memories of family meals and festive gatherings. Memories of laughter, joy, love and enduring moments. Memories of tastes and flavours made by the best cooks in the world/our mothers! You see, for us Greeks, food is not just a plate on the table. lt is about people coming together to cherish special times, share thoughts and feelings, and create new memories. 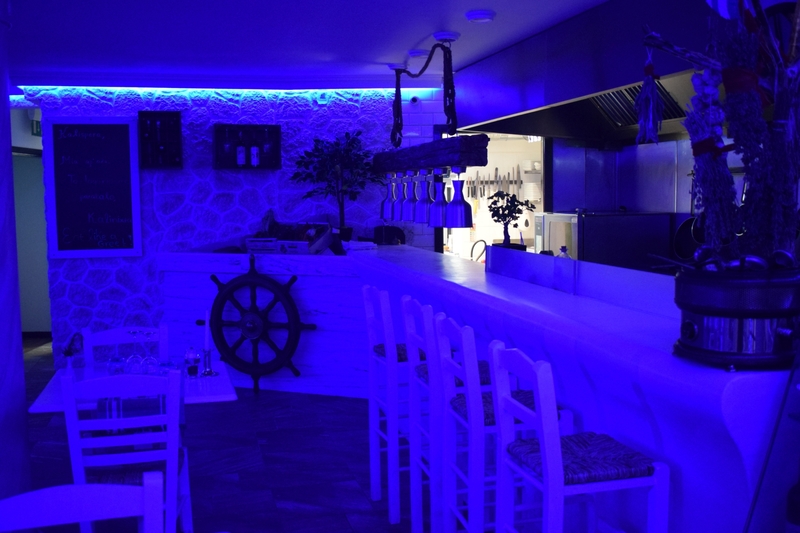 So, we take our mothers’ recipes from all over Greece, we choose the best fresh, local and Greek ingredients and take our time in cooking, in order for you to enjoy a unique experience. We infuse our food with love, laughter and dedication and we present it to you in the same way we greet our loved ones in our own homes. Our wish is to have a place not full of customers but full of friends!We welcome you, and ask you to make yourself at home, leave everything to us and enjoy a memorable dining experience. Baby light fried calamari served with taramosalata. Butter beans slow cooked with tomato sauce and vegetables. Chicken souvlaki, served with tzatziki, hand cut chips and salad. Vegetarian mousaka, layers of potatoes, aubergines, courgette and vegetables topped with creamy bechamel sauce. Fish of the day croquettes with skordalia (garlic puree) and vegetables. Eat like a Greek! 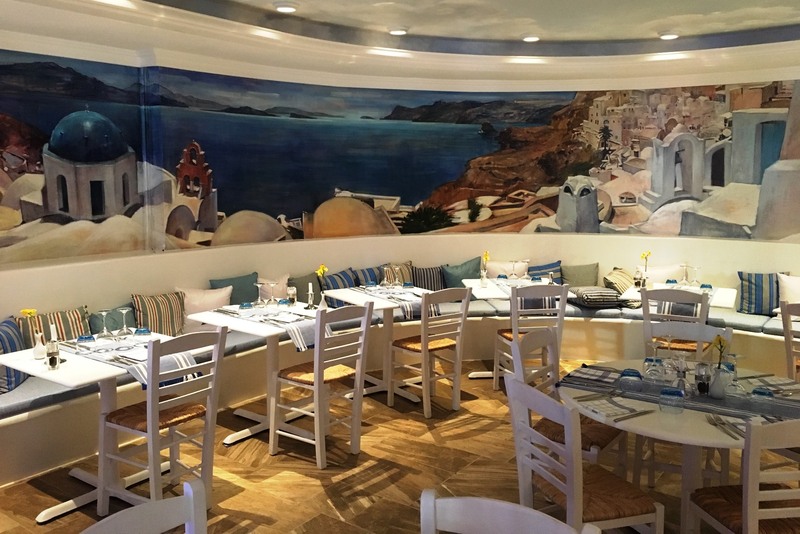 An authentic Greek lunch meze menu, especially made for you. Enjoy some of our delicious vegetarian meze dishes! Mussels cooked in tomato sauce with fresh thyme, star anise and ouzo. Oven baked king prawns, cooked in a fresh tomato and smoked paprika orzo pasta, with feta and a hint of ouzo. Fresh scallops and crayfish, pan-seared the traditional saganaki way with cherry tomatoes and feta gratin. Tenderised octopus, slowly cooked in a red wine and tomato sauce, with bay leaves and baby shallots served with fava (yellow split pea) purée. Steamed razor clams, cooked with fresh chillies, garlic, parsley and freshly squeezed lime juice. Lightly fried baby calamari served with a creamy lemon taramasolata dip. Tzatziki, Hummus, Tirokafteri (spicy feta dip, blended with tender red chilli peppers, Greek yogurt and freshly squeezed lemon juice) served with traditional greek pitta bread. Tomato fritters, stuffed with feta cheese and fresh basil,,served with a Greek salad mousse. Freshly-baked pies from various regions of Greece. Red bell peppers, stuffed with a mixture of Greek white cheeses and aromatic herbs. Feta cheese in filo pastry dressed with Greek honey and nuts. 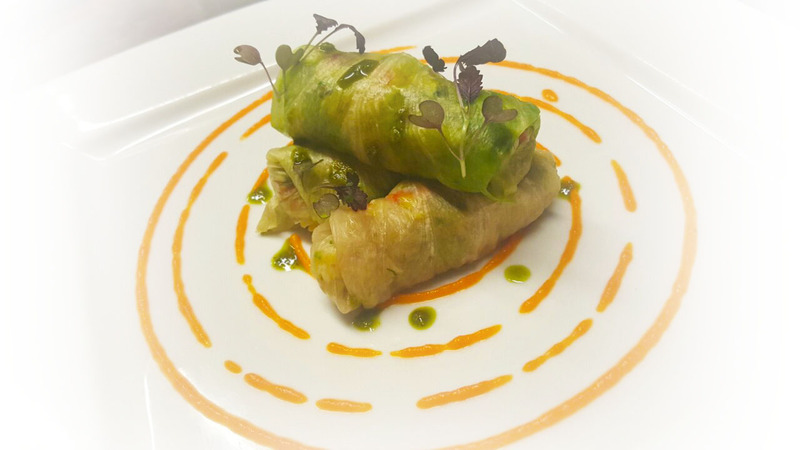 Lettuce leaves filled with pilaf rice, vegetables and aromatic herbs. Sautéed wild mushrooms in a white wine and garlic sauce, served with Cretan Apaki (cured, smoked pork). Grilled Greek village sausage served with a caramelised shallot puree and homemade tomato sauce. Pork stew, slowly cooked with fresh tomatoes, onions, peppers and wine. Juicy oven baked meat rolls, stuffed with Metsovone (smoked aged cow’s cheese) served with a homemade tomato marmalade. A variation of the famous greek village salad. Cherry tomatoes, cucumber, green peppers, thin sliced red onions, olive paste, shredded barley rusk and feta. Baby spinach, rocket, goat’s cheese, mixed seeds, sundried tomatoes, orange fillets, thin pear strips and vinaigrette. Spicy cabbage salad, with red peppers, onions, garlic, carrots, dill, topped with marinated anchovies and olive oil vinaigrette. Gently cooked strips of beef in tangy garlic and white wine sauce accompanied by a feta infused mash potato. Lamb shank, slowly baked in a parcel with baby onions, baby carrots and aromatic herbs served with wholegrain mustard potato purée. Layers of sweet aubergines, potatoes, minced beef and creamy béchamel sauce, baked to perfection, accompanied by a mini greek salad. 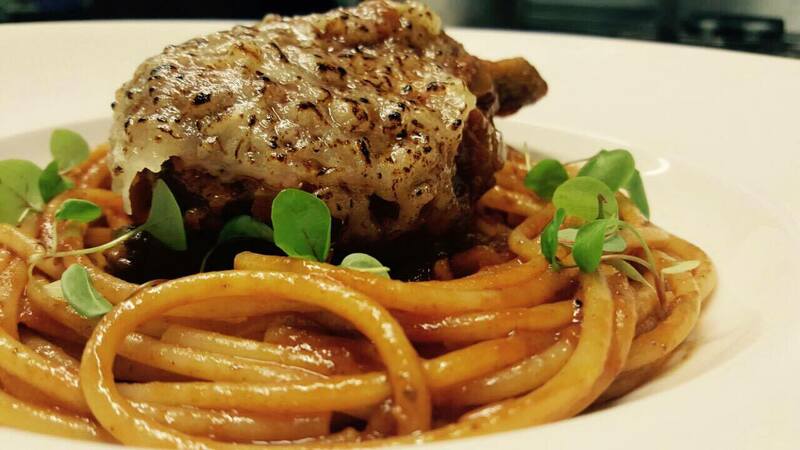 Chicken poussin casserole, slowly cooked in a rich tomato sauce with cinnamon, cloves and bay leaves. Served with thick Bucatini pasta and grated Metsovone cheese. 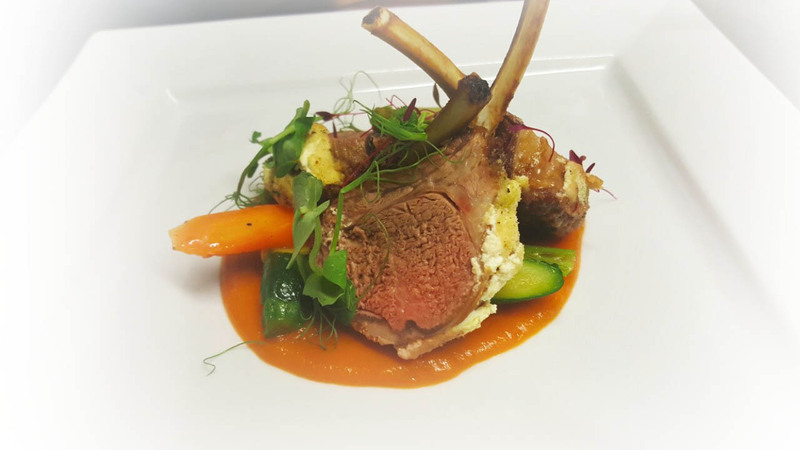 Juicy and meaty lamb cutlets slowly roasted with a Greek yogurt and herb crust, served with a saffron and vegetable purée and a greek-honey mustard dressing. Locally sourced rib-eye steak or fillet steak, rested in a 24-hour marinade of greek extra virgin olive oil and fresh herbs, topped with a homemade mushroom and truffle oil sauce. Served with hand-cut chips. Squid-ink risotto with tiger prawns, baby squid and octopus. Fillets of wild sea bream cooked in its own juices, accompanied by sautéed potatoes and a rich garlic and lemon sauce. Phyllo and nut base, drenched in a cinnamon and cognac flavoured syrup cheesecake. Topped with Greek yogurt, creamy cheese and Greek honey. Fig and raisin cake topped with salty caramel ice cream, espresso & caramel sauce. Traditional Greek creamy rice pudding, with Masticha and Mahlab, drizzled with cinnamon. Poached pear in a spiced Mavrodaphne sauce. Grandma’s traditional apple pie, served with vanilla ice cream.